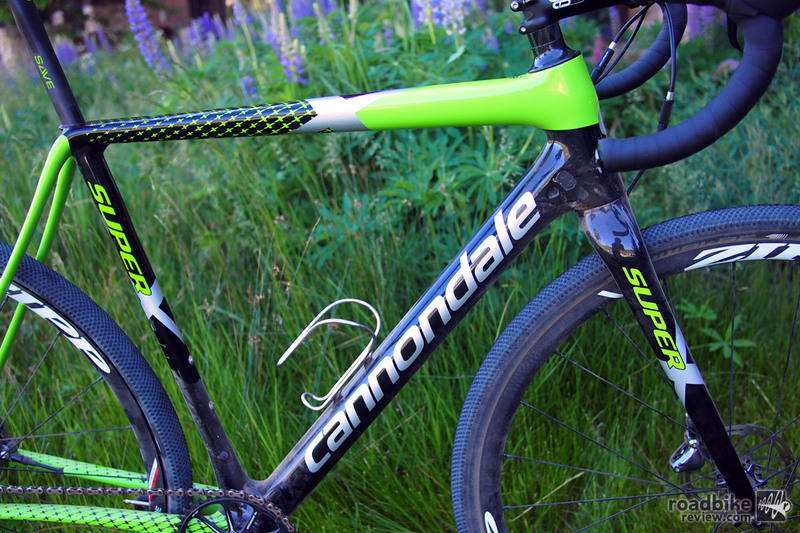 The 2017 Cannondale SuperX Team is a carbon framed cross racer with SRAM 1×11 drivetrain, SRAM Force HRD disc brakes, Zipp Tubular Wheels and a $8499.99 price tag. Every year for the past 8 years, I have been attending a cool bike industry trade show in Park City, Utah (note: The very first event was held in Sun Valley, ID) called Bike Press Camp. It is like a “mini” Interbike (huge annual bike show held in Las Vegas) with some of the latest bikes, parts and gear on display for various members of the print and online cycling media. One of the mainstay exhibitors over the years has been Cannondale, who uses the timing and location to hold their annual dealer show, as well. The big “C” had several new bikes on display this year (road, mountain, urban and more), but perhaps one of the biggest highlights was the release of their completely redesigned SuperX Team, a purebred cyclocross racer with disc brakes and a carbon frame. Cyclocross is a sport that is very near and dear to Cannondale’s heart since they are based in New England where some of the best cross racing in America is held. 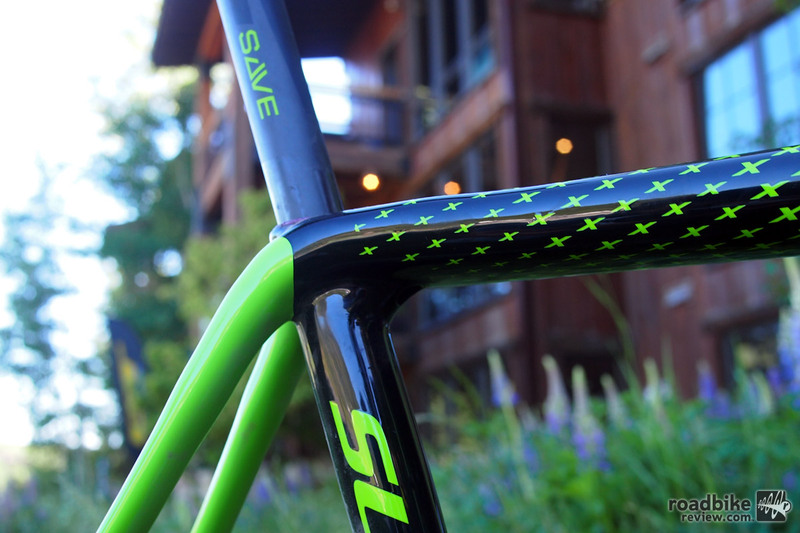 The 2017 SuperX was developed with heavy influence by cross racing legend, Tim Johnson. 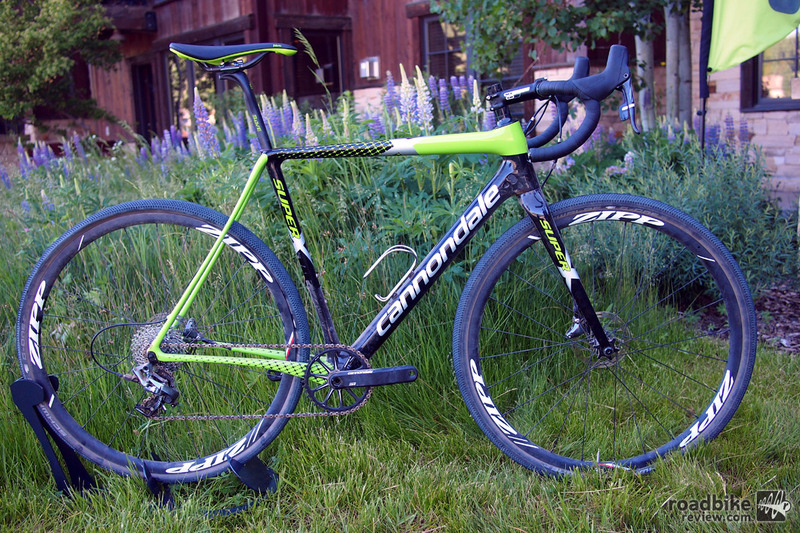 Johnson has won national championships on Cannondale bikes and he is an integral part of the entire process and development of this bike and some of Cannondale’s other cross models. Many of the new tweaks and changes to the SuperX come straight from their mountain bike development like the slacker head tube, lower BB, shorter chainstays and increased fork offset. Completely redesigned for model year 2017, the all new Cannondale SuperX is designed to tackle the most gnarly modern cross courses. Races are now getting far more advanced, faster, more technical and steeper so Cannondale really wanted to focus on stability and traction. The all new SuperX disc uses Cannondale’s BallisTec carbon and uses Speed SAVE techonology and comes with a BB30-83 bottom bracket, AI drivetrain alignment and a 142×12 thru-axle in the rear. Many of these changes come directly from the cross country development of Cannondale’s mountain bike racers, like the F-Si 29er racer. In fact, I was lucky enough to be at the World Launch of the Cannondale F-Si 29 in Albstadt, Germany in 2014. 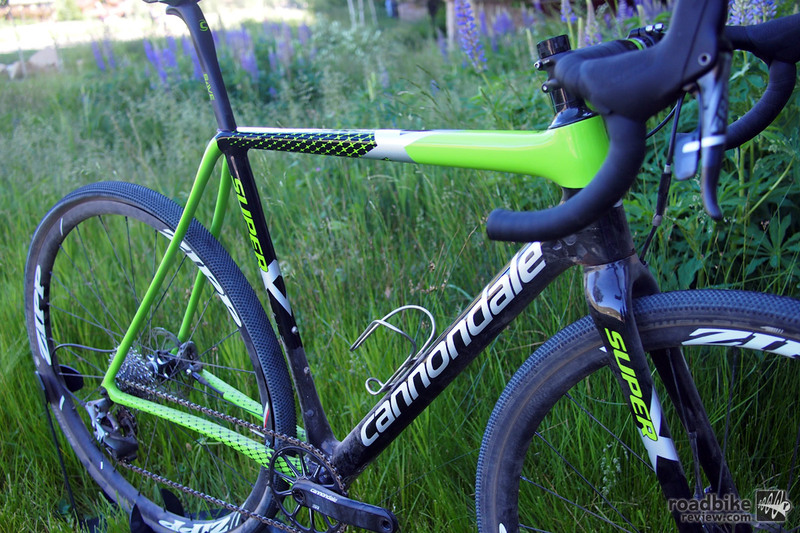 This was the first time that Cannondale went with a 55mm offset fork for handling purposes. It was also the first time I saw the shifting of the drivetrain outward 6mm, mentioned below. 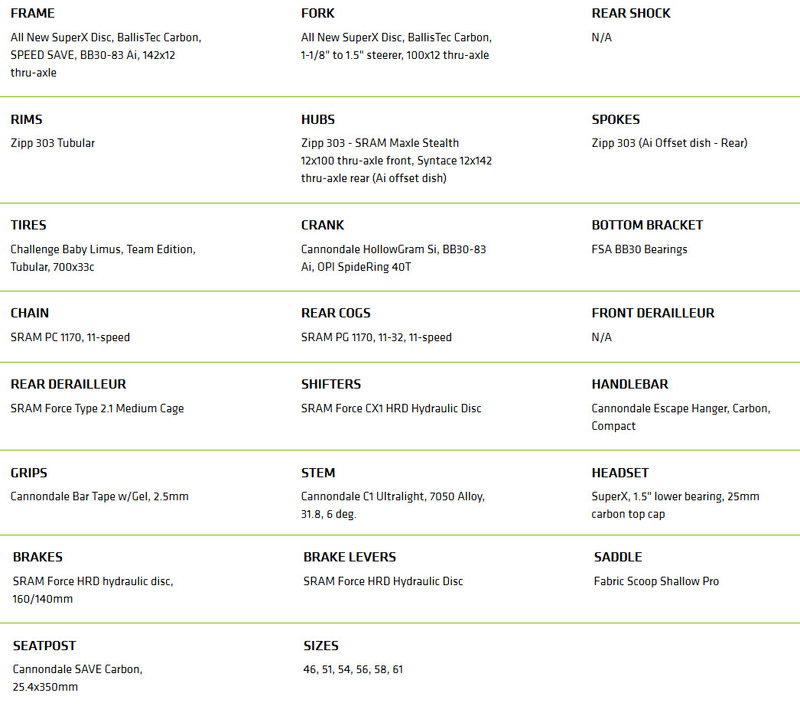 On the traction side of things, Cannondale shortened the chainstays 8mm and went from 430mm to 422mm which they claim is the shortest in class. This brings the rear wheel closer, more underneath the rider. This moves more weight over the rear wheel so the rider has better traction in loose conditions (mud, rain, loose dirt) and better control. Plenty of tire clearance to fit up to a 40c tire. What about tire size? When you bring the tire in, sometimes tire size can get compromised. Just after Worlds in Belgium, LaLonde was with Stephen Hyde on the cross team and the first thing he noticed was that Hyde was pitting far less. This was a clear benefit as Hyde was able to spend more time on the course, racing and focusing. Cannondale’s Speed SAVE micro-suspension dramatically shaves and flattens certain areas of the frame like the chainstays. The chainstays are an ultra-short 422mm. 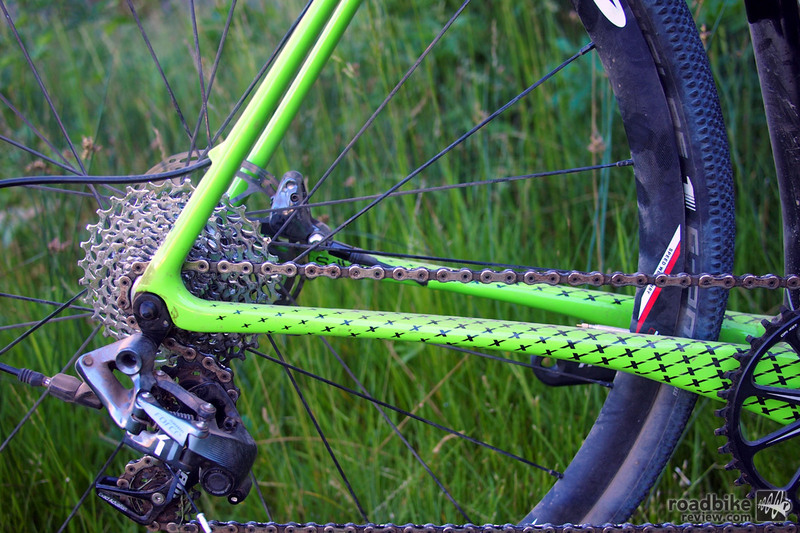 On the comfort side of things, Cannondale utilizes their Speed SAVE micro-suspension which dramatically shaves and flattens certain areas of the frame, like the chainstays. This allows more compliance and control over washboard bumps that may develop later in the race or practice day. They integrated the seat binder bolt underneath (like their Synapse road bike) which means more seatpost is exposed to provide more deflection and more comfort. Like other new 2017 road bikes, Cannondale is using a 25.4mm diameter seatpost for flex and comfort. Besides stability, traction and comfort, weight is always an important factor. 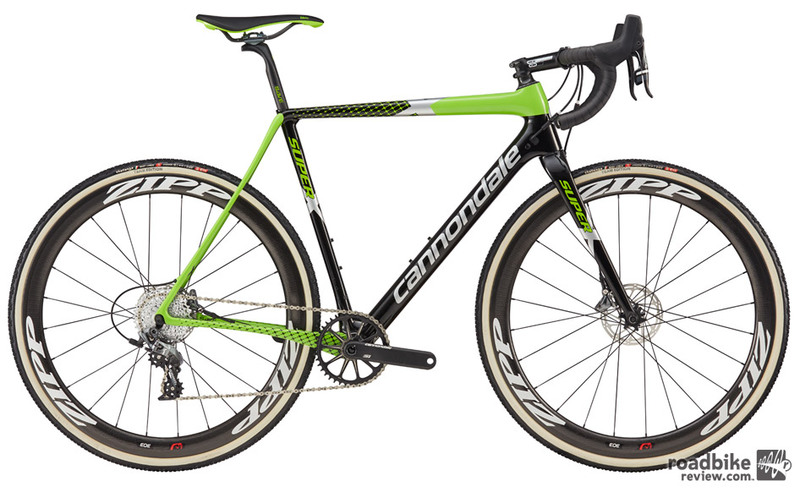 Cannondale wanted to get back to where they were with cantilever brake equipped bikes and with this new disc brake SuperX they we able to hit 1000 grams frame weight. 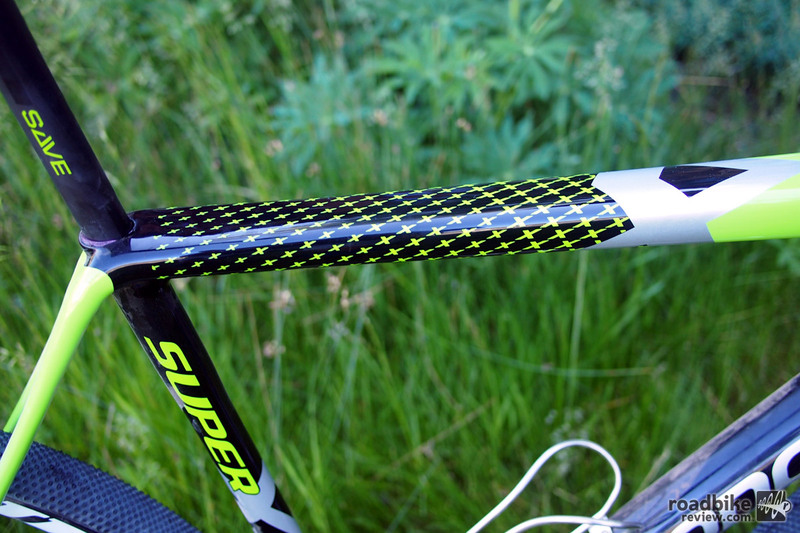 And if you are on a budget, the good news is that no matter what level SuperX you are buying, you are getting the same frame. If you buy the 105 model, the Ultegra model, the Force model, or Force CX1 you are getting the same frame across the board. 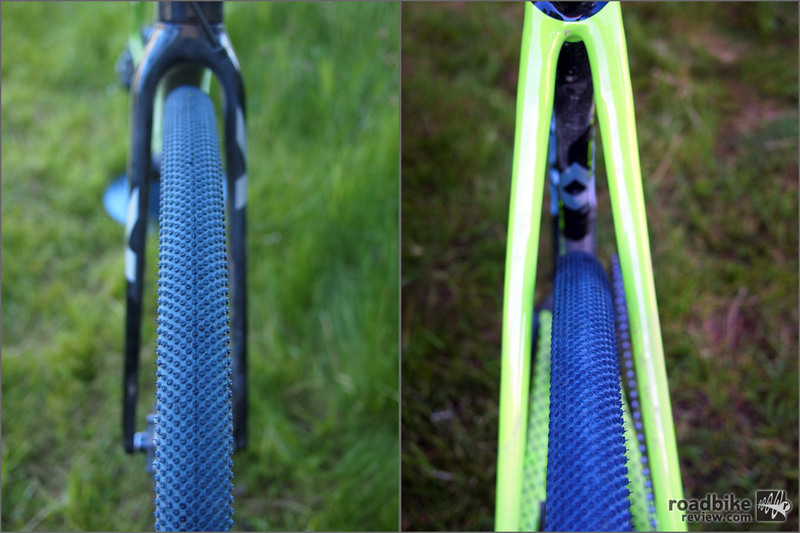 Forks are coming in around 390 grams which is extremely lightweight for a disc cross fork. 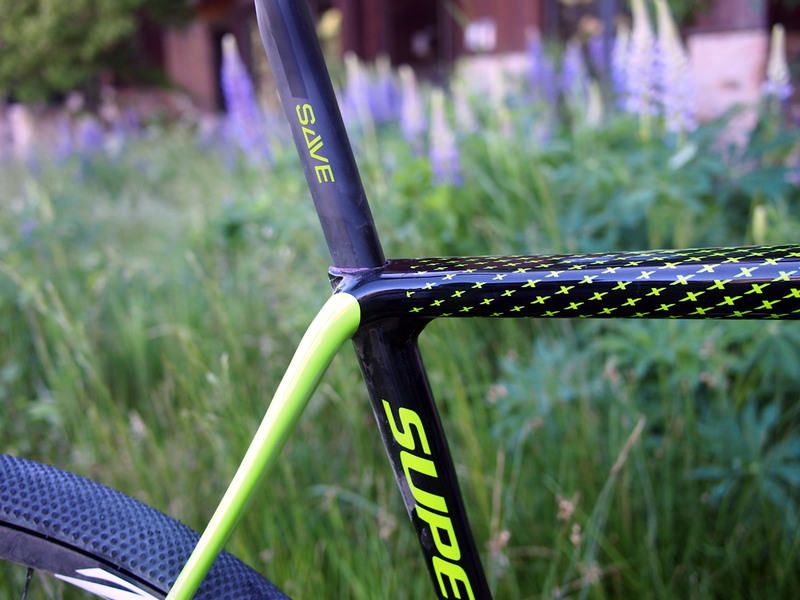 Like their Synapse road bike, the new SuperX features an integrated seat binder bolt (underneath) which means more exposed seatpost to provide more deflection and more comfort. The seat post is 25.4mm in diameter. 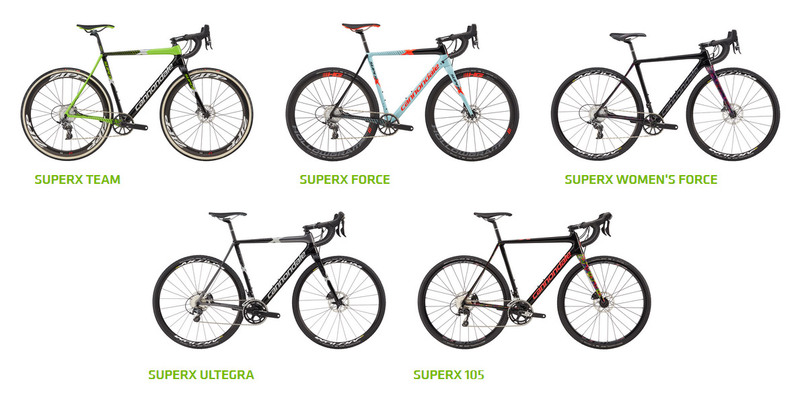 A look at the five versions of SuperX for 2017. The 2017 Cannondale SuperX Team is available at your local Cannondale dealer this month (July) and has an MSRP of $8499.99. Cannondale’s Speed SAVE micro-suspension dramatically shaves and flattens certain areas of the frame like the chainstays.